It's litmus test time for the Detroit Red Wings. Will they pass? The last few weeks I've become convinced the Red Wings are more than a solid pick to reach the playoffs for the 24th straight season, but instead legitimate contenders to reach the Stanley Cup finals for the first time since 2009.
k since Howard has been out with injury. Defensively, the Red Wings are much tighter, and their breakouts a lot better. Detroit is one of the few teams that can feature four solid lines. Getting a one- or two-seed is important to the end of making a deep playoff run, and these next two games, tonight at Tampa Bay, and Saturday vs. the New York Islanders at Joe Louis Arena are key to that goal. The Red Wings are a point ahead of the Lightning in the Atlantic Division, and tied with the Islanders for the most points in the Eastern Conference. - The Red Wings have a game in hand to the Lightning, and Islanders a game in hand to the Red Wings. - The Red Wings have two games in less than 48 hours (Saturday is a 2 p.m. start) and then don't play again until Thursday. - The Red Wings only have two home games in February, and nine on the road. The month ends with a Western Conference swing that begins on the West Coast and ends in Nashville. The two home games are the 14th and 16th vs. Winnipeg and Montreal. It is a goofy schedule, but it was a blessing in disguise the Red Wings didn't have any players at that fiasco known as the NHL All Star Game. Injuries were a huge issue last season, and so were the Olympics. There is collective knocking on wood in this town the Red Wings remain healthy, and they should be well-rested despite the grind. The Lightning and Islanders rank 1-2 in goal scoring this season, Tampa Bay's Steven Stamkos and NY's John Tavares are big-time stars. 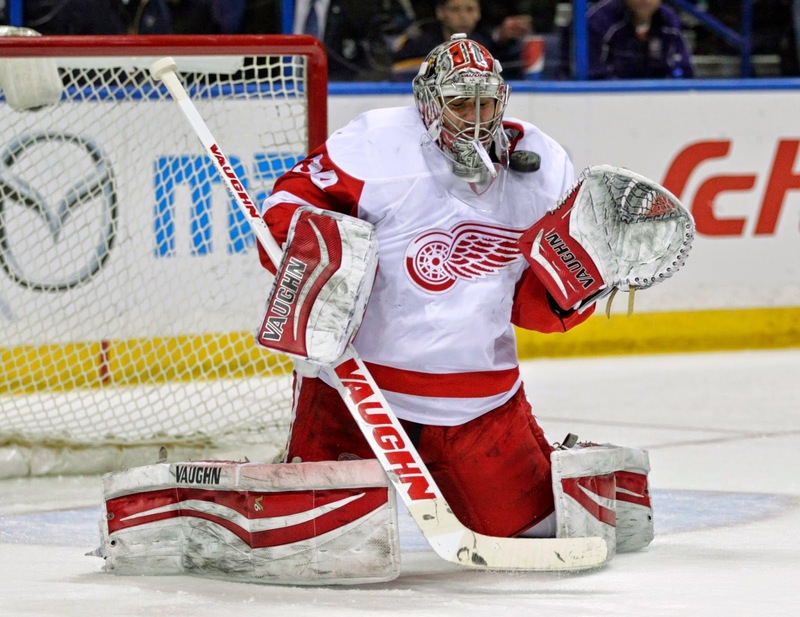 It will be revealing whether the Red Wings' defense and Mrazek hold up these next two games. I can't think of another example of addition by subtraction that quite matches the Pistons' releasing of Josh Smith. They were 5-23 at the time. The Pistons have won nine of 10 games since. Gone are the endless long 2-point shots, replaced by smart 3-pointers. Bigs Greg Monroe and Andre Drummond have shown a better level of consistency, especially Monroe, who the Pistons very much need to sign long-term to insure a brighter future. The players Stan Van Gundy brought in, particularly D.J. Augustin and Jodie Meeks, have been differencemakers. But what about Brandon Jennings. Like Smith, he was emblematic of the Pistons' issues, a genuine talent, but not quite in sync with the concept of winning. And even during the recent winnings ways by the Pistons, Jennings up and down play has been maddening. The Pistons beat Toronto on the road Monday, which is no small feat considering the Raptors have the second-best record in the Eastern Conference. Jennings was the biggest reason why with 34 points, 10 assists, just two turnovers and a big steal at the end that completed what would have been an impossible comeback not long ago by the Pistons. It was like the games Jennings had vs. Cleveland, the Knicks and Sacramento recently, but he had shot just 29 percent from the floor in his previous four games, and is just above 40 percent for the season. 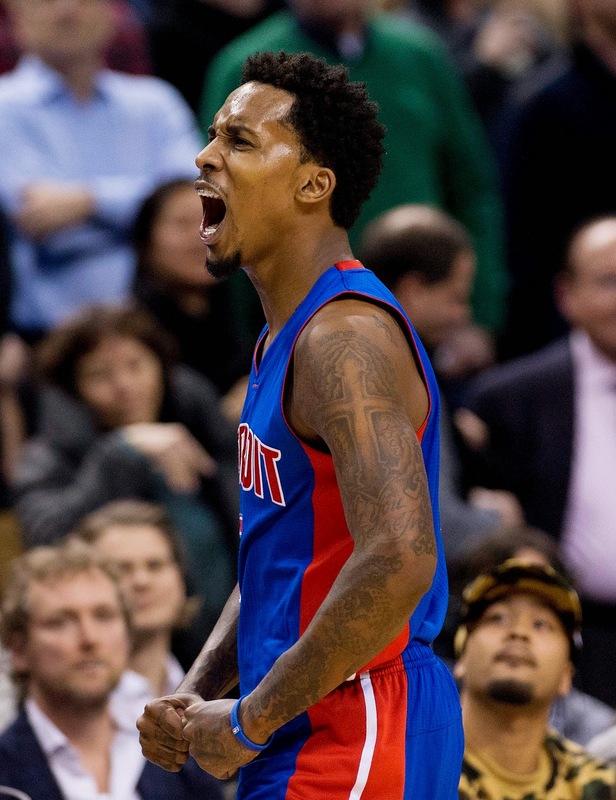 It's still all or nothing for Jennings, which has been an issue since he and Smith arrived with the Pistons.. It leads to the question, as the Pistons move forward, whether Jennings and his immense talent will conform to what is necessary to fully turn around Van Gundy's program, or whether he will eventually be part of the addition by subtraction plan. Jennings is signed through next season at less than $9 million. It's reasonable number, and there is a possibility there will be interest in him. The Pistons wouldn't have to eat $26 million for him like they did with Smith. They could get something of value, perhaps considerable, in return for Jennings, now or during the off season. Would it be a wise move in the bigger picture? Or should they consider signing him long term? .It's got to be the No.1 bigger picture decision the Pistons are pondering. 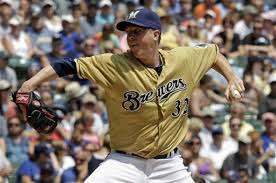 I sense a lot of excitement from Tigers' fans about the signing of Tom Gorzelanny, but after viewing video of him pitching last September, it should be quelled. I watched his second to last outing vs. Cincinnati during he was actually pretty effectively, but it was shocking to see what type of pitcher he has become since shoulder surgery. He relied heavily a sloppy slider, mostly thrown at 75 mph or less. His best fastball, which he was clearly hesitant throw in the strike zone, was 86 mph. Unless Gorzelanny throws considerably better during spring training, he will not make the Tigers' opening day roster. Tommy John surgery makes recovering from an elbow ailment possible. It takes awhile, but pitchers often come back as good as new. Not with shoulder ailments. Unless Gorzelanny starts throwing much harder, this is another departure from general manager Dave Dombrowski's usual emphasis on power arms for the bullpen. - Perhaps the most underrated aspect of defense in the NFL is tackling at the safety position. This game has taken on a completely different tone simply because Lions' safety James Ihedigbo took a bad angle and let the Cowboys' Terrence Williams run right by him. Darius Slay hesitated on that play as well. He had Williams in line, and should have clipped him from behind. Instead, it was a 76-yard dagger. - Nice comeback to close the half. For all the complaints about Matthew Stafford, he is as good as there is at running the two-minute drill. Still, it's difficult to have a lot of comfort in Matt Prater as Lions' kicker. That was almost a botched hold by Sam Martin. - It's amazing how poor Tony Romo is, for a QB with his experience, at making the proper read and getting rid of the ball when blitzed. The Lions and defensive coordinator Teryl Austin have come up with a great blueprint against him. The key was getting the lead and containing Demarco Murray. But none of it is going to matter if the Lions' don't tackle in the secondary. In contrast, blitzing Stafford is usually a recipe for disaster. 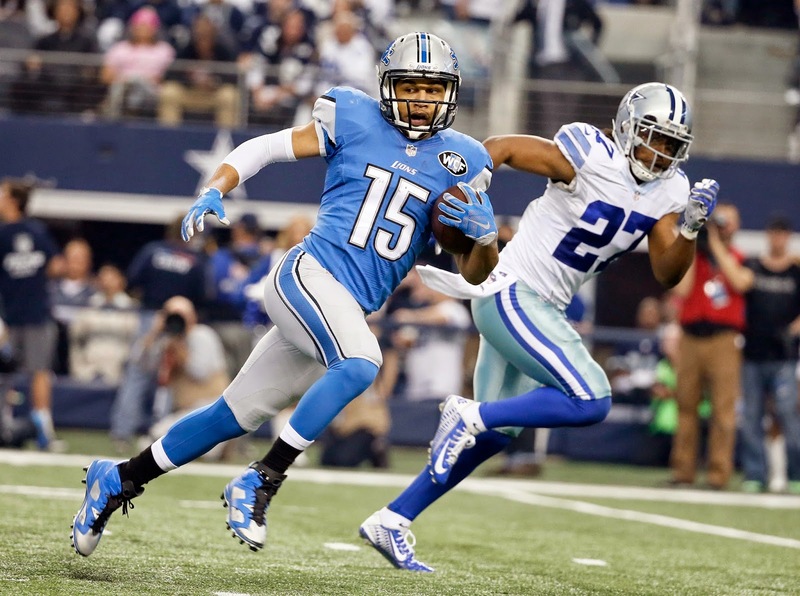 - With the lead, how effective will the Lions be running the ball and running down the clock? Early in the season, they did that effectively in wins over the Packers, Jets and Minnesota. Not so much the second half of the year, though. It's way too early to go into a shell, too. The play-calling late in the first half, before the two-minute drill, was too conservative. - Few expects picked the Lions to win this game, and in a sense, they have nothing to lose because of it. Conversely, the Cowboys have faltered so much in the postseason in recent years there is tremendous pressure on them. The running into the punter penalty obviously helped the Lions, but they are playing much more loose than the Cowboys, who look uptight and overwhelmed by the moment. The 14-play, 99-yard drive was classic. - Reggie Bush is healthy and indoors on field turf. The circumstances set up perfectly for him. 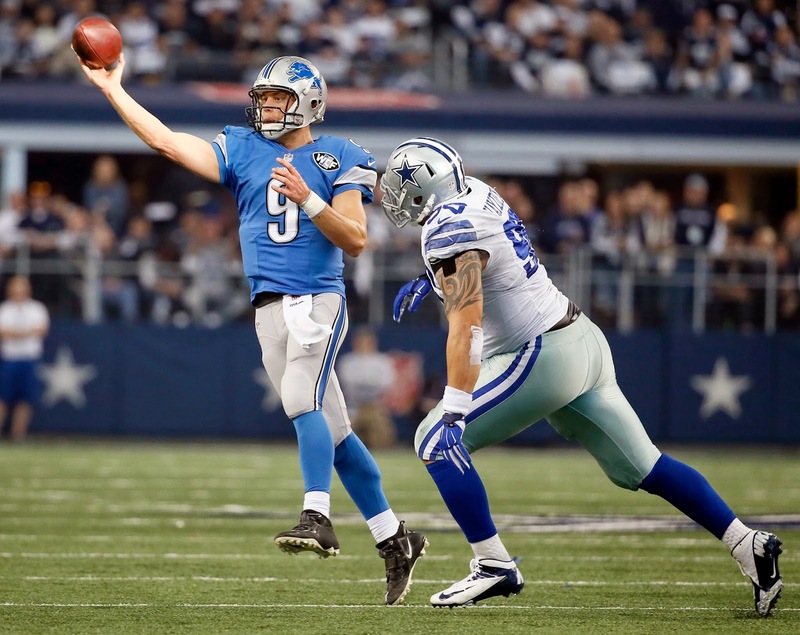 - The Lions have not hesitated to blitz Tony Romo. Good idea. They are going to have to stack the line to stop the Cowboys' running attack anyway. Romo has a long history of not showing up in big games. Why not make him show up in this one? It also keeps the Cowboys offensive line thinking. Get the lead, force the Cowboys to be one-dimensional with the pass and Romo should become a turnover about to happen. 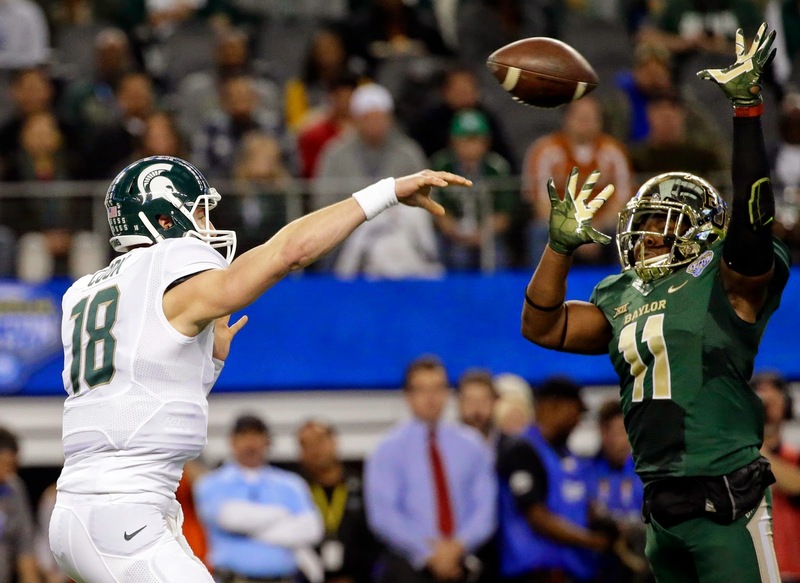 - Connor Cook and his receivers need to be sharper. Bottom line. As good as Baylor is offensively, the Bears are just as bad defensively. The Spartans need to exploit it more. - Ah, there was so much made about the recruitment of Soutfield's Malik McDowell. He has made some mistakes today, but there is still a good chance he is going to be top football player. Too often, people give up on highly-regarded freshman soon. - I didn't think the fake field goal was a bad play call by Mark Dantonio considering down and distance, kicker Michael Geiger's struggles and the spot on the field. - The most exposed unit for the Spartans this season has been their secondary. They have been tore apart by prolific passing teams and top QBs. Period. The word "stout" doesn't apply in a certain sense. - The Spartans' offensive line doesn't get enough notice. It's very solid as a unit. And the Spartans ability to run the ball is what sets up the pass. They remain old school in that way. That's what makes this match up so intriguing. Baylor just spreads the field and slings it. 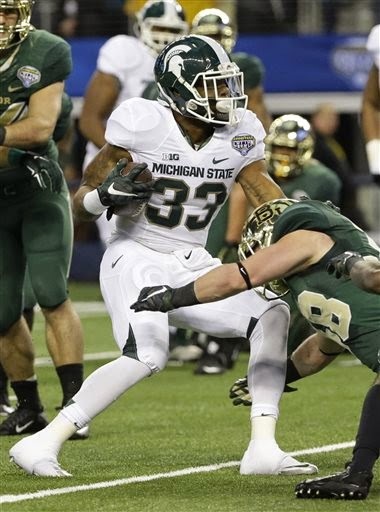 - Jeremy Langford will be missed badly after this season. The Spartans don't have a running back remotely like him in the wings. He fits their offense perfectly. I think he will be s solid NFL back. - Connor Cook is going to have to win this game with his arm at some point. Also, the Spartans can slow down the Bears by forcing a turnover.